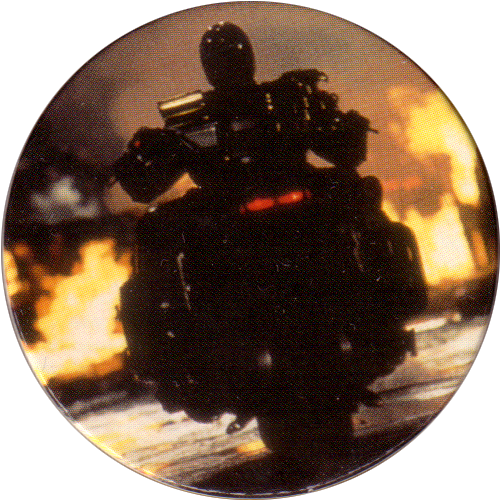 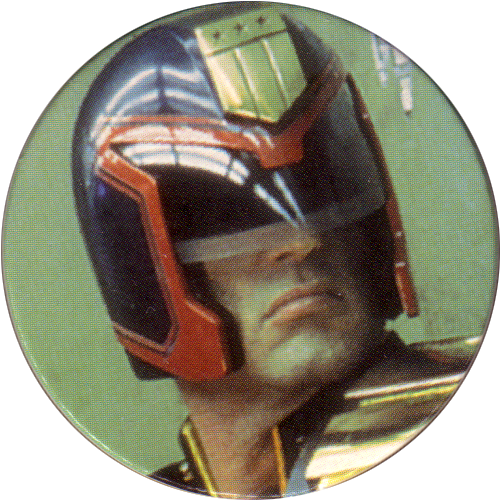 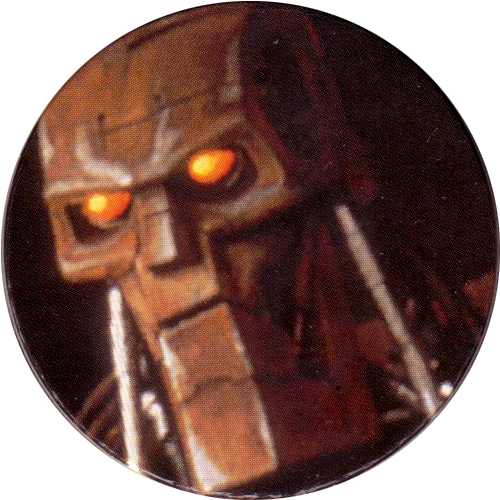 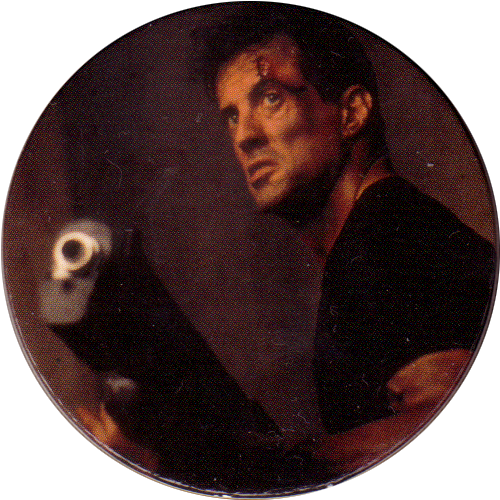 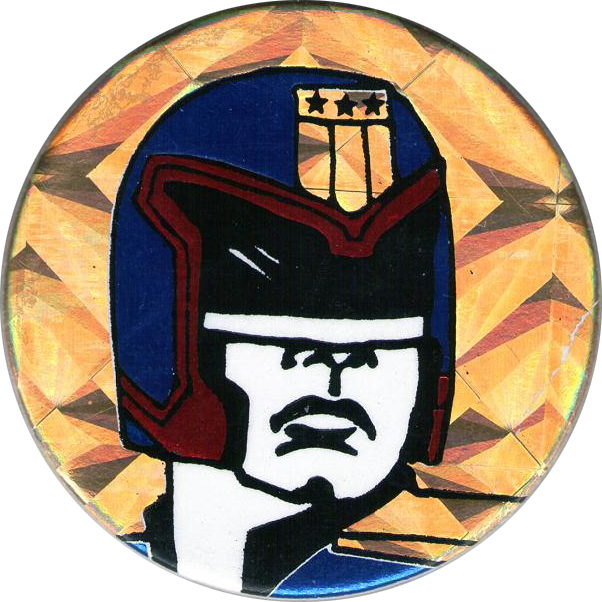 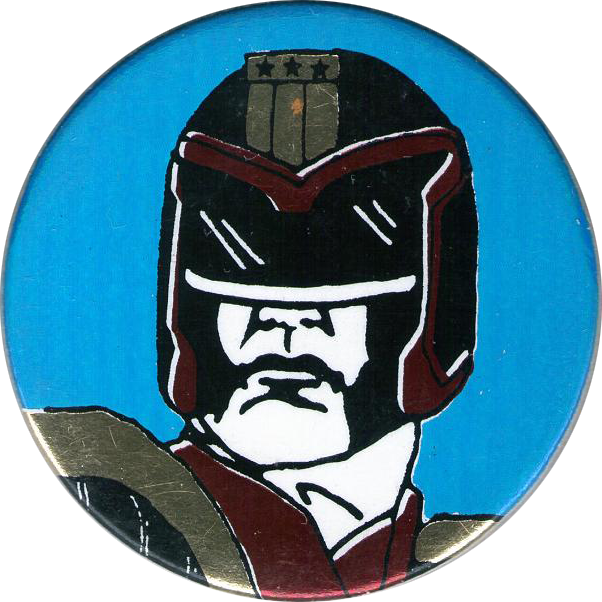 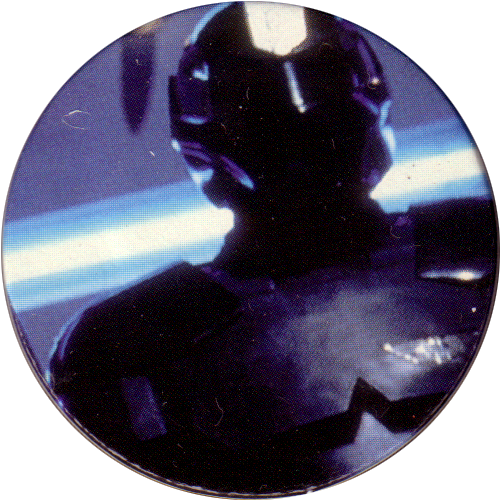 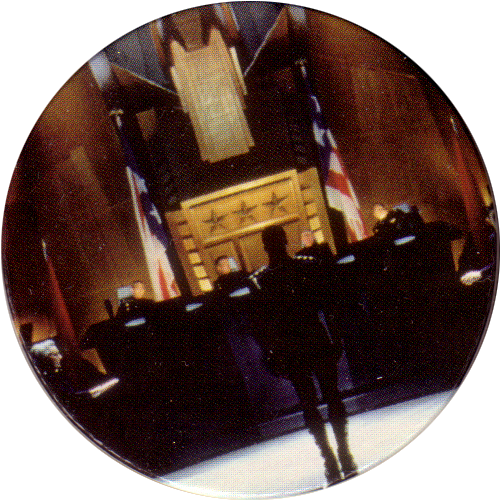 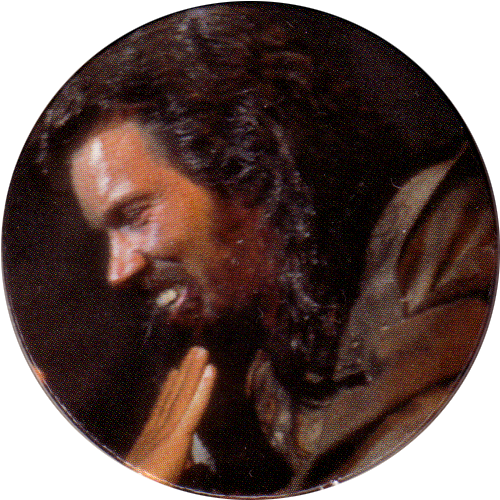 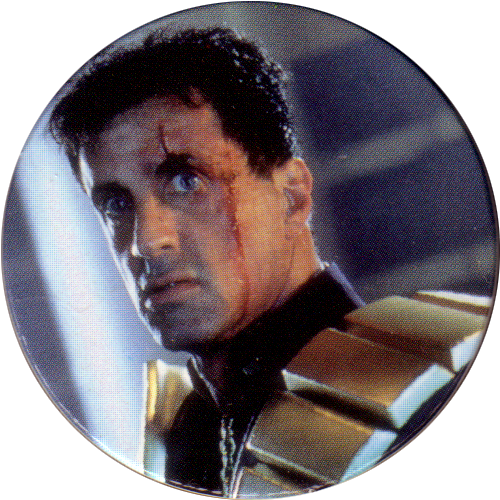 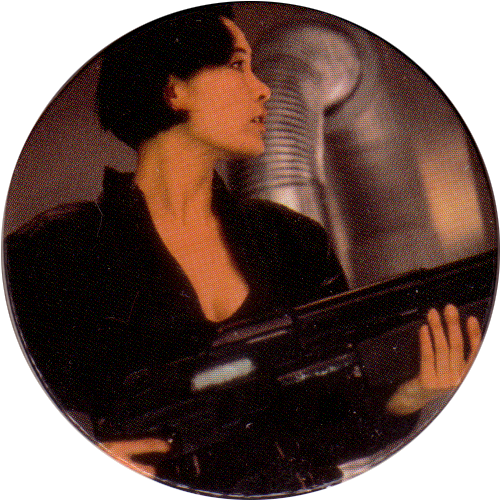 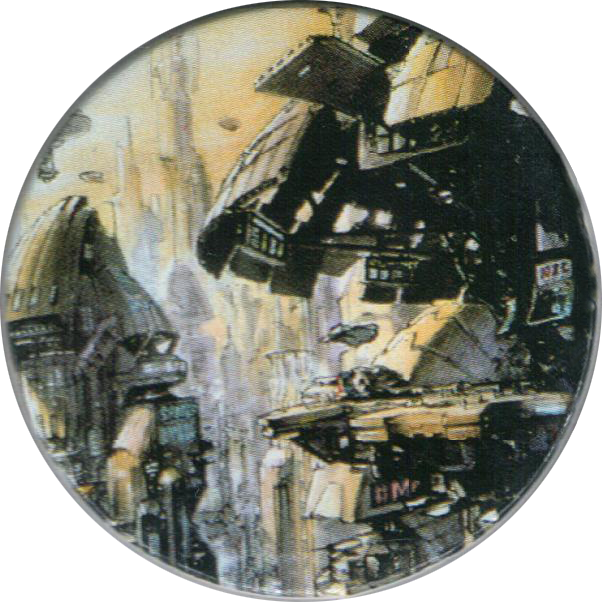 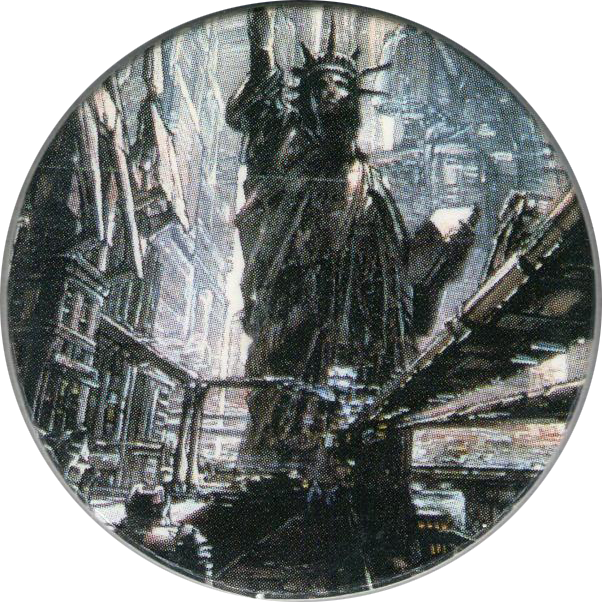 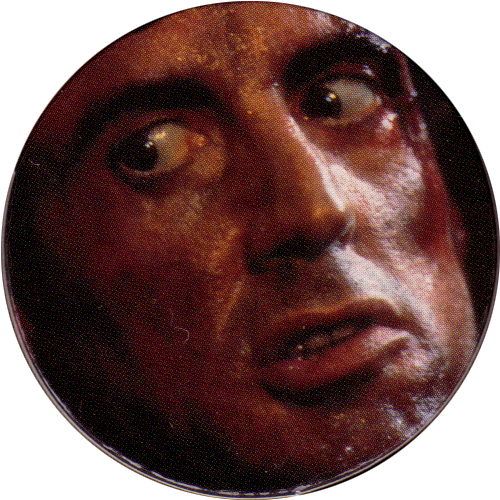 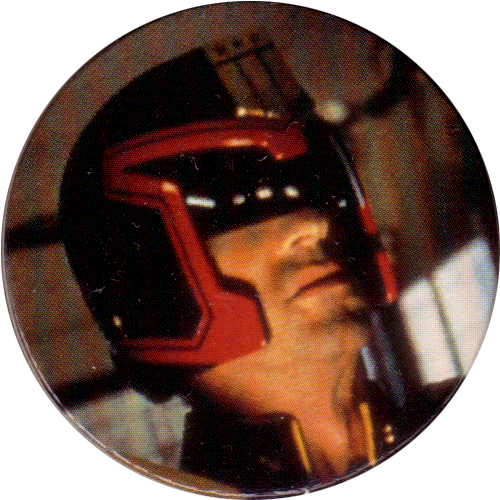 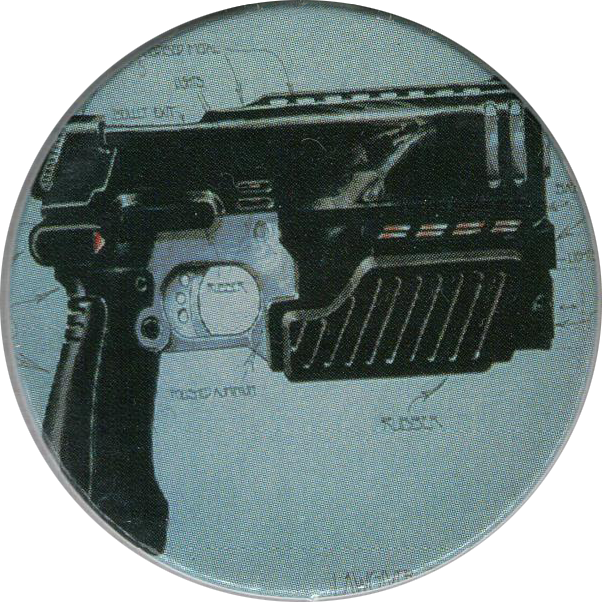 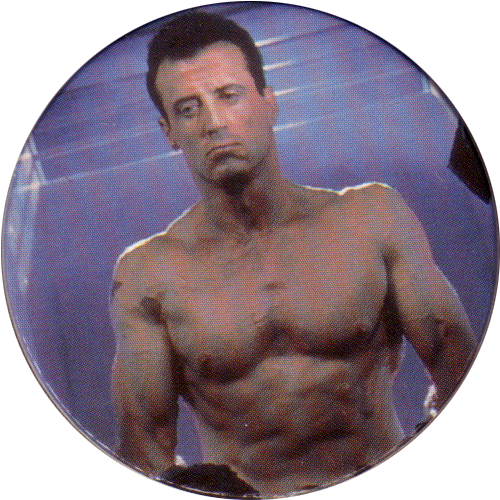 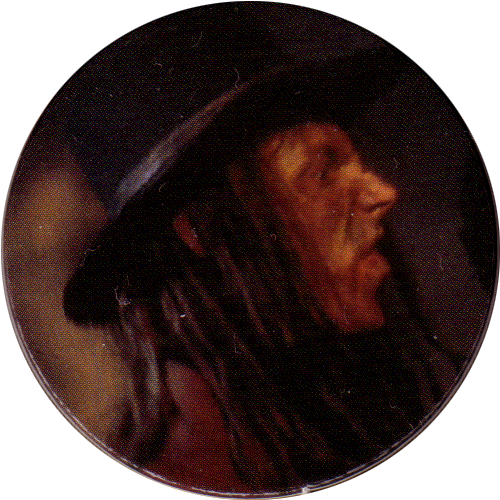 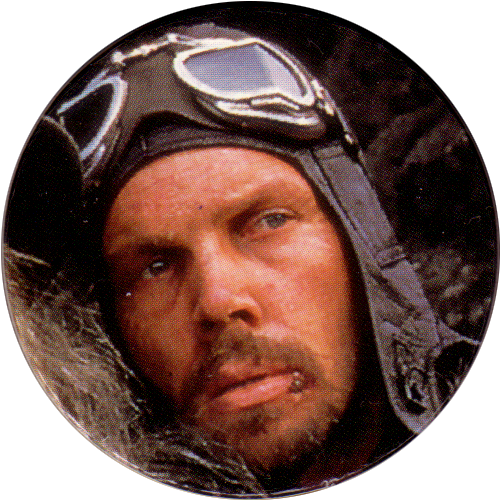 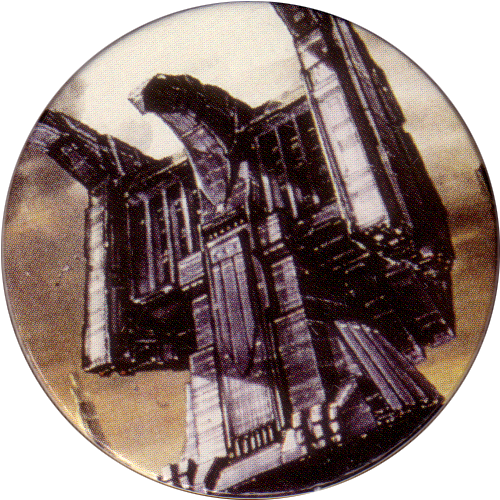 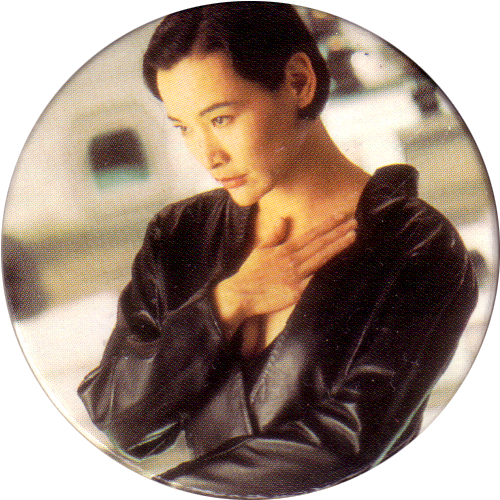 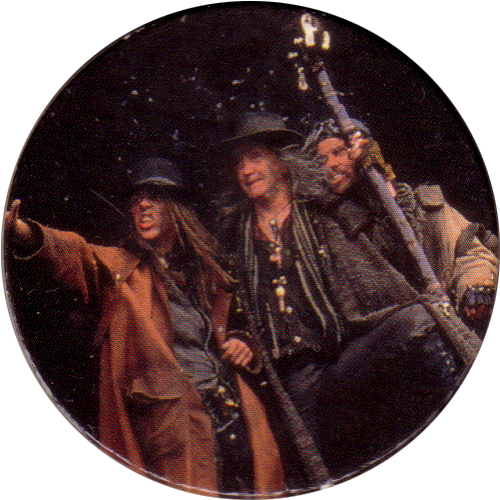 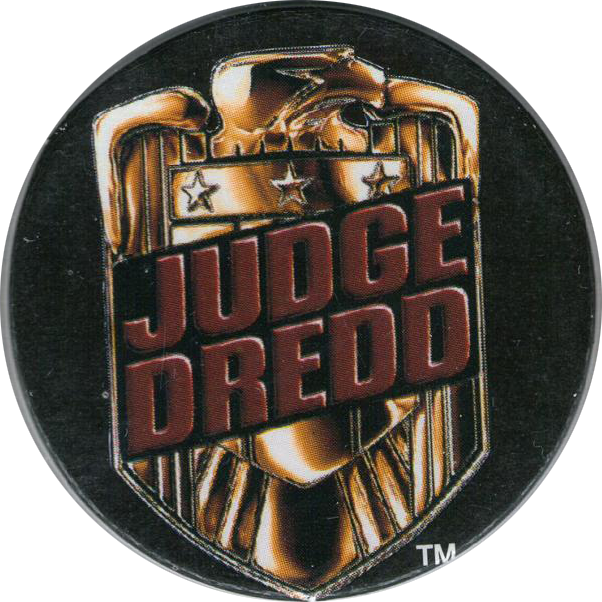 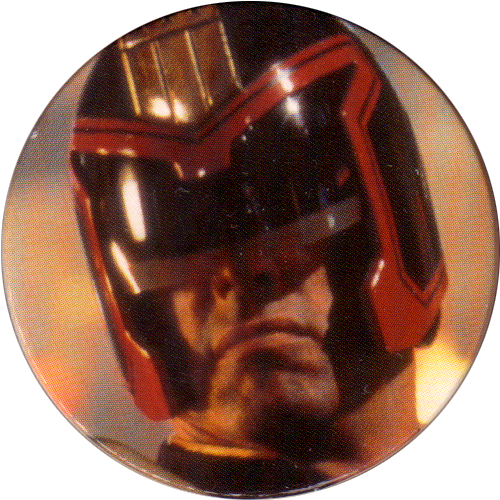 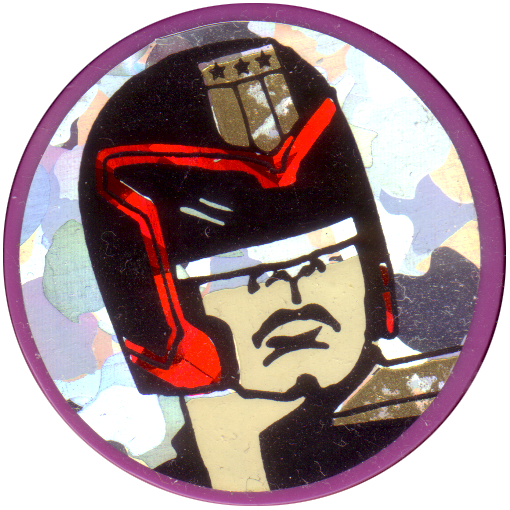 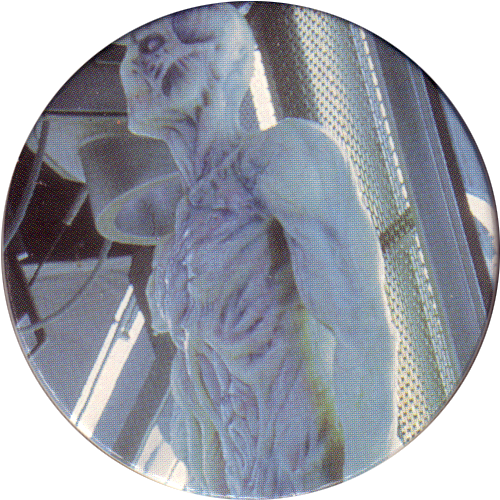 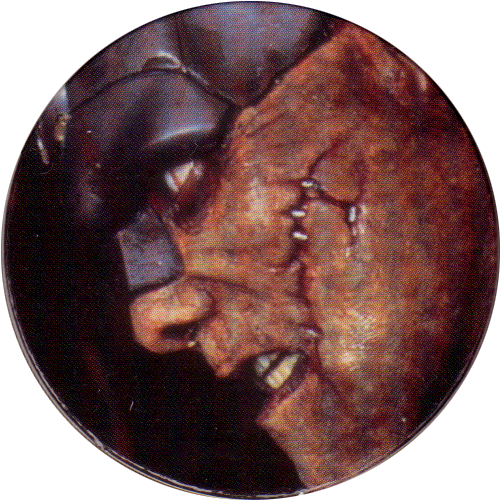 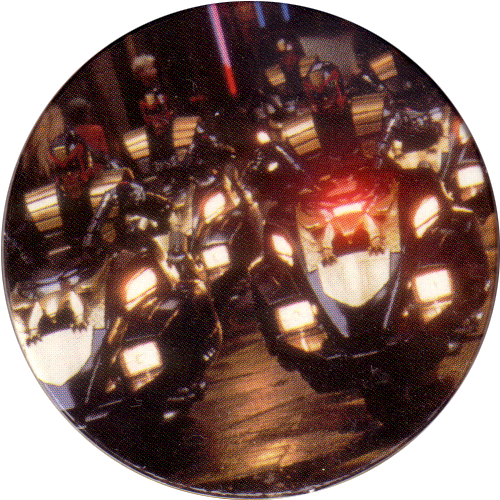 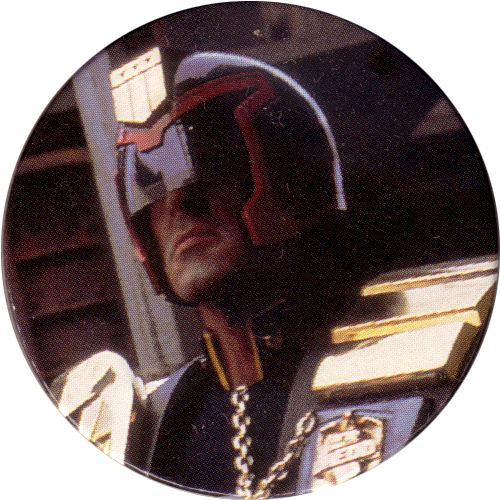 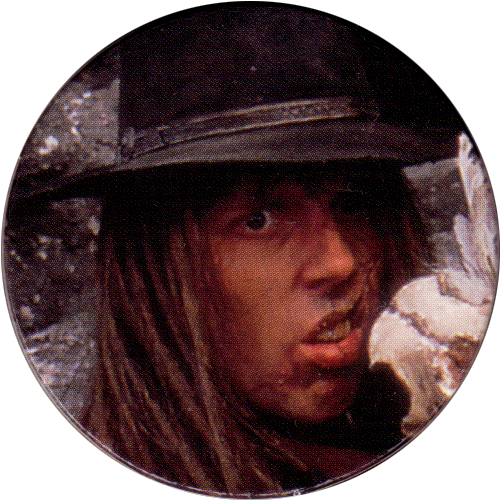 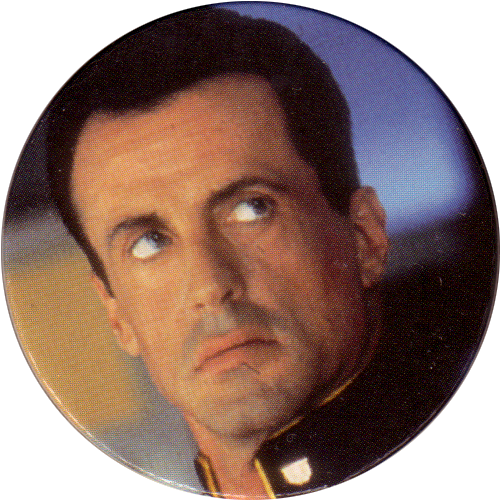 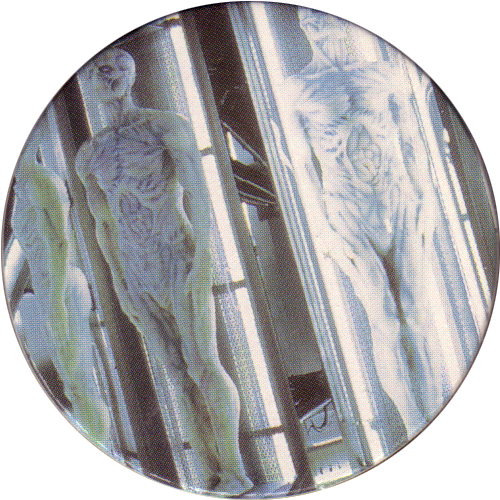 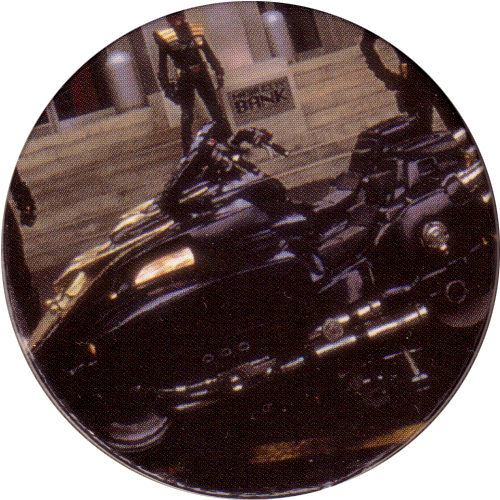 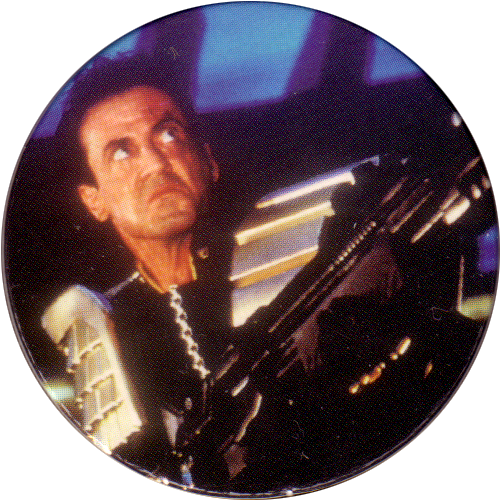 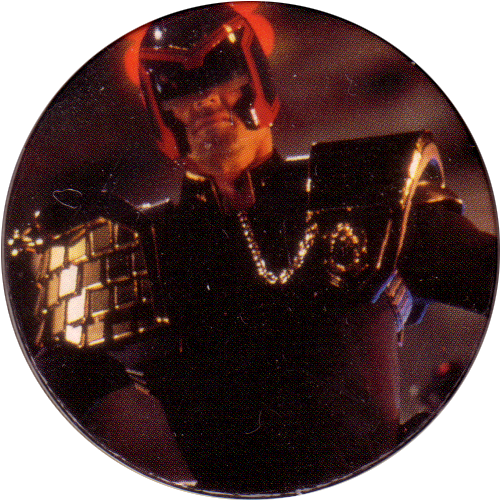 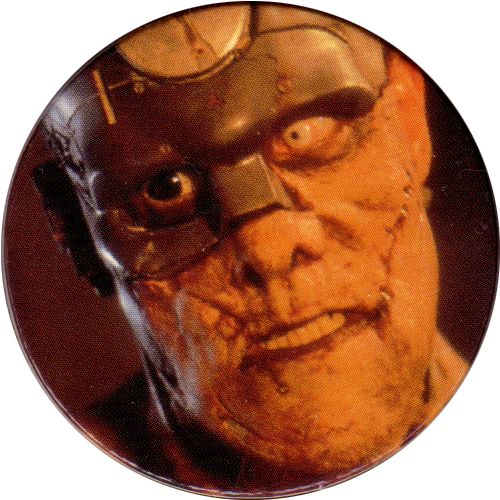 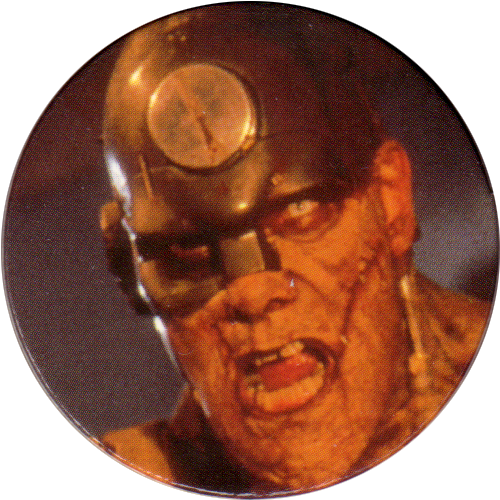 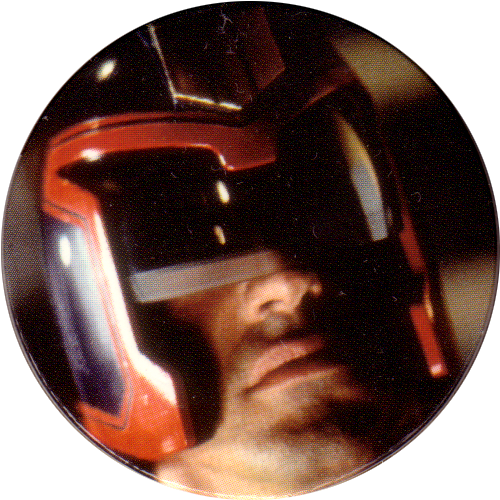 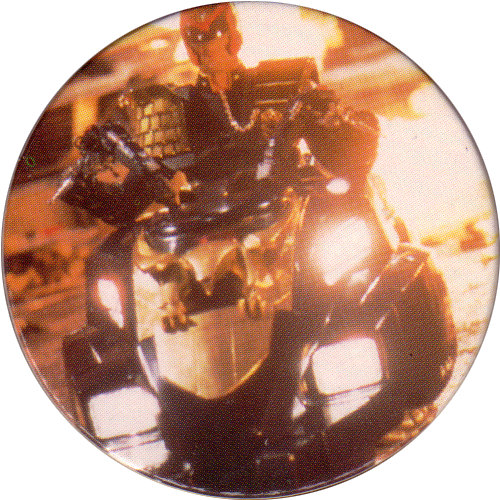 Info:These pogs feature scenes from the 1995 film Judge Dredd, starring Sylvester Stalone. 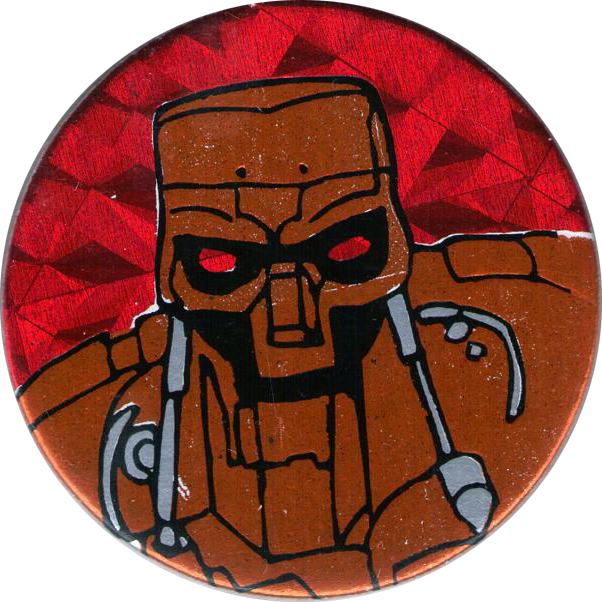 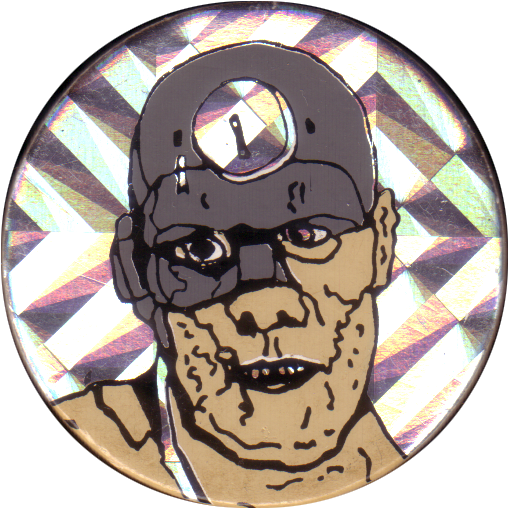 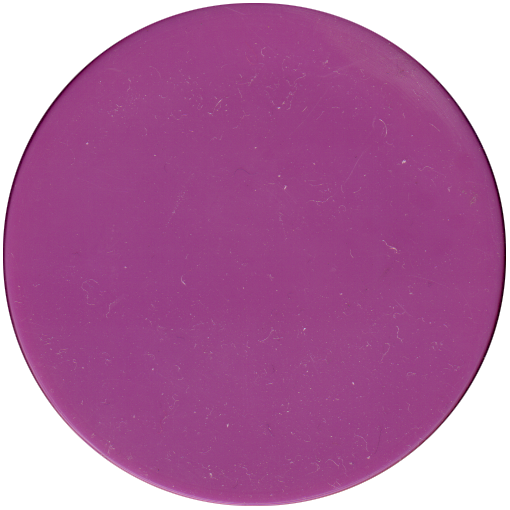 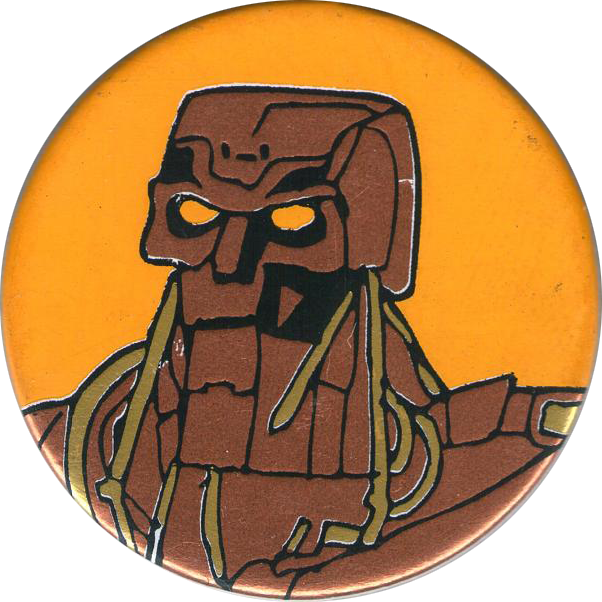 On the back of each pog it gives the name of the character shown. 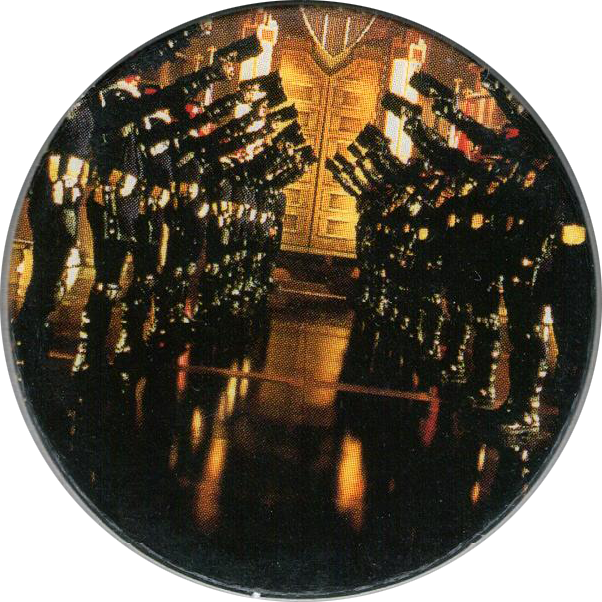 The foil caps at the end of the set have blank backs. 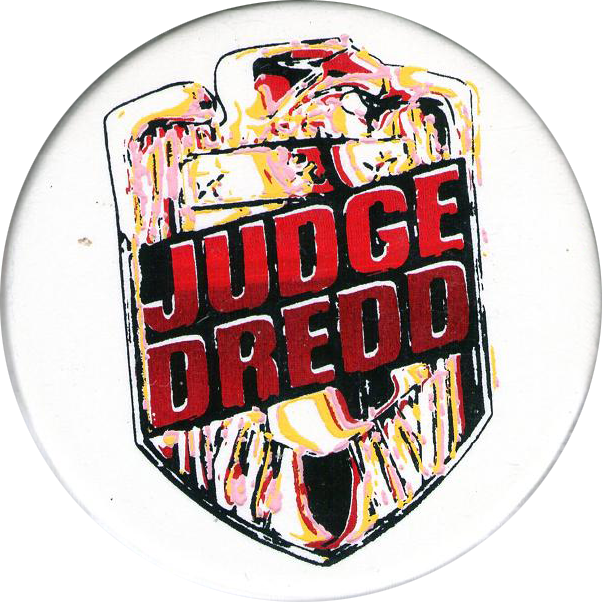 They were marketed as Spugs Bottle Caps. 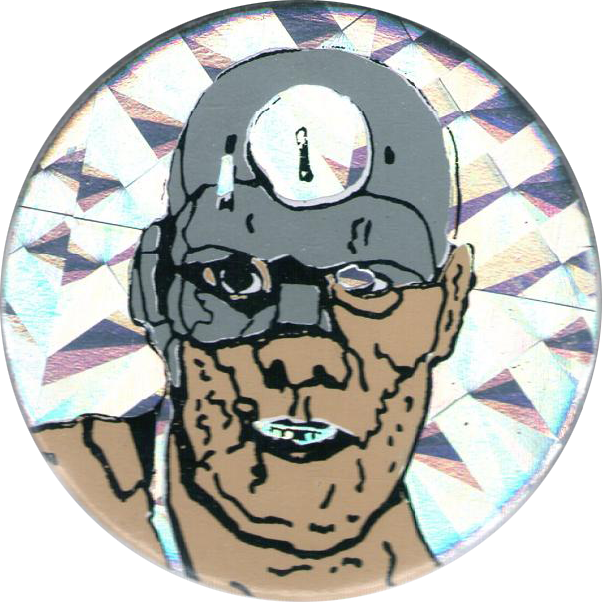 There are 50 caps in the set, plus 5 foil caps, and a couple of plastic slammers with holographic foil stickers. 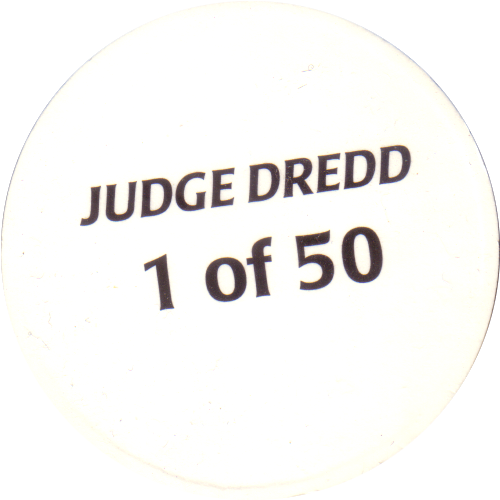 For images of the full set plus more information, see Cellar of Dredd: Spugs - Movie Version. 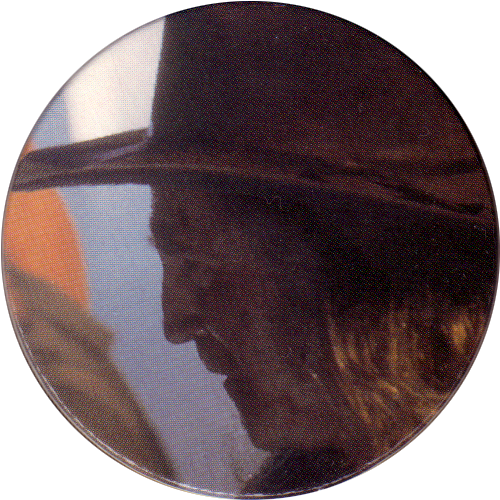 Thanks to Vincent for some of the images below.